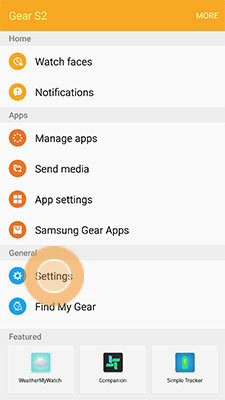 You can manually update your Gear S2 software through the Samsung Gear application on your mobile device. 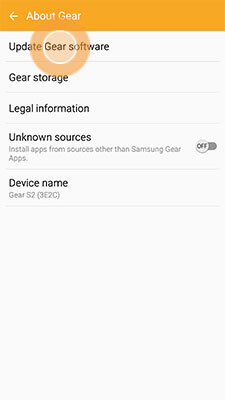 The application will automatically check for and notify you of Gear S2 updates unless the automatic update feature is turned off. 5. Touch Update Gear software. 7. 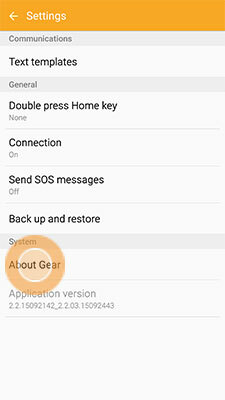 If an update is available, touch DOWNLOAD and follow the on-screen instructions to install the software on the Gear S2. 5. Scroll to Software version.